HAVING pioneered the small but thriving Spa culture in Dhaka with their outlet in Baridhara, the Herbal Solutions Day Spa and Beauty Studio has opened their second outlet in Gulshan. 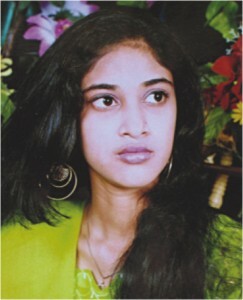 The story began almost a decade ago, when Sultana Parveen Huq, emboldened by the success of her home-made herbal products, decided to go for a more large-scale approach. Thus, Rapunzel Home Industries Ltd. began its journey in 2002, providing herbal beauty products for around 200 retail outlets around Dhaka. With all-natural offerings like uptan face packs, herbal hair oil, mineral cleansers and more, they quickly carved a niche for themselves in the beauty business. It was time to expand. A few trips to Thailand provided inspiration, and a plan for a spa was conceived. A Thai therapist was brought in to train the salon girls, and with the ready stock of beauty products already at hand, Herbal Solutions Day Spa and Beauty Studio came to being in 2005. After winning the hearts of a regular client base at Baridhara, they're now starting a new chapter in their story with the Gulshan outlet. The core principle of this venture lies in their firm belief in the benefits of all-natural products. Shahnaz Parveen Huq, Managing Director of Rapunzel Home Industries, tells us that all their basic services, and their products are purely made from organic ingredients. "We don't use chemicals like bleach, and other synthetic products which are harmful for the skin" she states firmly. "Due to popular demand, we've kept a section for make-up and chemical rebonding, but clients are always warned about the adverse side effects of these things, and we also suggest natural remedies against the damages caused by these services." The charming two-storeyed building that houses the spa is tastefully done in a bright white and tangerine colour scheme, with the ground floor being used for unisex services, and the first floor section exclusively for ladies. The services include massages, facials, scrubs and hair treatments, as well as haircuts and grooming, with the added option of make-up for women. This being a smaller outlet as compared to the Baridhara one, the option of jacuzzi baths is not available here, but everything else remains the same. With the exception of make-up and chemical rebonding, everything else is 100% chemical-free, and uses only organic ingredients. As the name suggests, the outlet provides herbal solutions to common skin problems. There are special facials for acne prone skin, exfoliating scrubs and pedicures for cracked heels, oil massage and other hair treatments for a variety of hair scares, from dandruff to hair loss, and loads more. The special Thai massage is also a surefire solution for taking your aches and pains away. There are also special packages where you can avail a number of services for a fixed price, and thus save up. Customers can also buy Rapunzel products from the outlet. So if you want to pamper yourself the natural way, here's a good way to give yourself a fabulous treat. 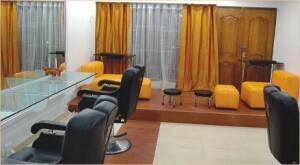 Herbal Solutions Day Spa and Beauty Studio is located at Rd # 113, Gulshan, Dhaka. TASTE OF THAILAND” - the food festival, will be held at The Westin Dhaka from March 8 to 18, 2008 showcasing authentic Thai cuisine as well as cultural performances. The event will be inaugurated at The Westin Grand Ballroom on March 08, 2008, and will continue at hotel's dining restaurant Taste till March 18, 2008. The Festival will focus primarily on exciting Thai creations, which will certainly inspire the food lover to elevate their senses of food and culture. The food festival is jointly brought to you by The Westin Dhaka and The Royal Thai Embassy. Thai cuisine is capturing the global palates with its intense flavors and eye-appealing presentations. The food is hot and spicy, with strong and unique flavor profiles, great aromas and a tremendous variety of ingredients. During the festival the culinary experts will also coach how to prepare authentic Thai cuisine among around 50 local chefs for 4 day from March 9. Ingredient preparation techniques and cutting, shaping and marinating methods before frying, grilling, stewing, steaming or roasting will also be covered in the coaching program. So succumb to your taste buds and fill your gaster with royal, Thai food. AFTER a certain age, a women needs to take special care of herself and the best way to remain fit is to maintain a healthy and nutritious diet. This week we look at some such items, which can provide the much-needed calcium and vitamins intake in the tastiest manner. Skim Milk is fat free but provides all the health benefits as normal milk and that is why it is such a favourite for health-conscious women. Available at most grocery or chain stores, such as PQS and Agora. 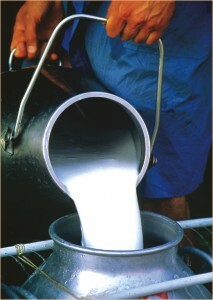 One of the most favourite and widely available brands of skim milk is 'Harvey Fresh' at only Tk 133 per litre. Fibre is much needed and any cereal, which contains 7 grams of fibre per serving, is labelled as containing high fibre. Not only does it help to fight cancer, but it also cancels out calories. Corn Flakes are one such high fibre cereals and they come at prices ranging from Tk 280-300 for every 500 grams. Available at most general stores but PQS also has a wide range. Salmon can be considered very important for all its qualities such as warding off depression, severe menstrual cramps and even breast cancer. Canned Salmon by John West is available at PQS and Nandan for Tk 562. A warm glass of Cocoa is very beneficial and also is the best way to end the day. It is widely known, that to prevent heart attacks milk with cocoa is very good for your bones. Cocoa Powder is available at PQS and Almas for about Tk 200. If shopping around for the best fruits at the best prices are too hectic then your next best option is to buy fruit juices. They contain the benefits of fruits and many are 100% pure, available at prices ranging from Tk 115-300 per litre. Yoghurt milk from Aarong is available at Tk 16 only per 250 ml. Yoghurt, as known, cuts down on cholesterol and is a very healthy drink, which can be taken both before and after meals. And since 'Health is Wealth', don't hesitate to spend on these nutritious item and enjoy a healthy and safe life. SOnargaon launches an Executive Lunch Buffet- a delicious variety of gourmet dishes designed for executives looking for something a bit more special. The cuisine is Chinese and Internatioal so you can dig out and feels right at home during the welcome break from work. In addition, there is a live cooking station so you can order your choice of cooking- well done or mild and cool-off, stretch a little, and be right back in shape for work. The menu consists of vegetarian and non-vegetarian dishes, soup of the day, ten dessert dishes and live cooked sea lobster, imported lamb chops, beef tenderloin and others. The meal comes for Tk 1500+ and is on from 1200 to 1530 hrs everyday at their signature restaurant Jharna. 8111005-4140 for reservations. An icon of tradition, a mirror for culture, ever beautiful, and always strong, a woman is ever complex, ever fascinating. Against all odds, she manages to hold her head high, weathering criticism, shattering stereotypes, and juggling roles. A trouble-shooter, a caregiver, a carefree spirit, she can be anyone you want to be. Flip through the pages for our special tribute in light of International Women’s Day. Appalling. Having checked and re-checked the layout for the thousandth time, I put Lifestyle to bed and picked up the day's newspaper, hoping for a leisurely read. My languid journey, which started with the Sports page, came to an abrupt halt when I arrived at the front page. My pride in being a modern day woman hit the rock bottom. Here I was, planning to celebrate my women's day with friends at a restaurant amid fun, gaiety and high hopes, a teenage girl lies in hospital bed fighting for life all because she angered the man she married. The man who vented his spleen on her by dousing her with acid. What is worse, the victim isn't even sure why.
" It wasn't for dowry, we didn't even quarrel, he got upset, because I wanted to visit my parents," the papers reported. I cannot imagine why such a normal desire would meet with such a violent consequence. I also cannot fathom why the parents of a brilliant student and talented thespian would want to get her married off to a 30-year-old Saudi expatriate. Why should such an obviously gifted girl have to put up with the temper tantrums of some psycho almost double her age? This goes to show that despite all we have achieved over the past few decades in terms of the feminine movement, we are still denied simple decency, humanity, and respect as humans and individuals, by our male counterparts. On the eve of International Women's Day, that is a century old revolution, this is indeed a sad blow. I have nothing to celebrate, nothing to be proud of. It is a tough battle, where all; parents, husbands, friends, teachers, employers should take part and not just the women themselves. It took me back to square one. When will we be treated with respect, love and honour, how many more centuries later?